Most people would probably have this question in their minds right now: “why would any business just buy a monochrome laser printer when there are so many better colour options out there?” After all, it is better to have the option of printing in colour by paying a little more money than to lose that option altogether. 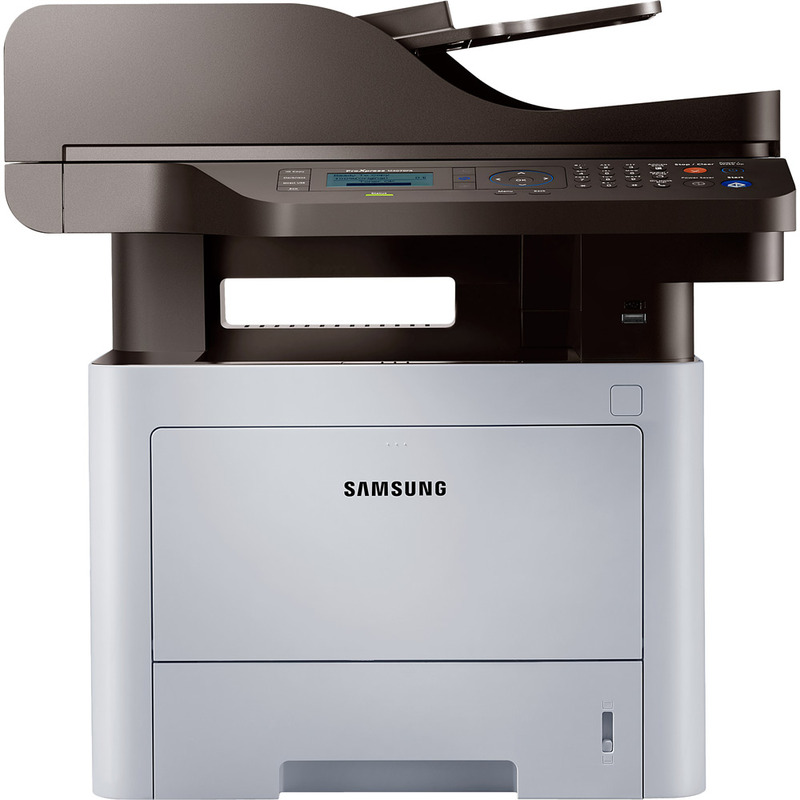 Despite this “common sense”, many businesses still go for monochrome laser printers such as the Samsung ProXpress M4070FR mono laser multifunction printer. The question is why. The answer to that question is finances. Colour laser printers often utilise colour cartridges to create the black colour while the same is not true with monochrome printers. This is significant because colour cartridges are far more expensive than black and white cartridges. Consequently, the running cost of a monochrome laser printer is much lower than the running cost of a colour laser printer. 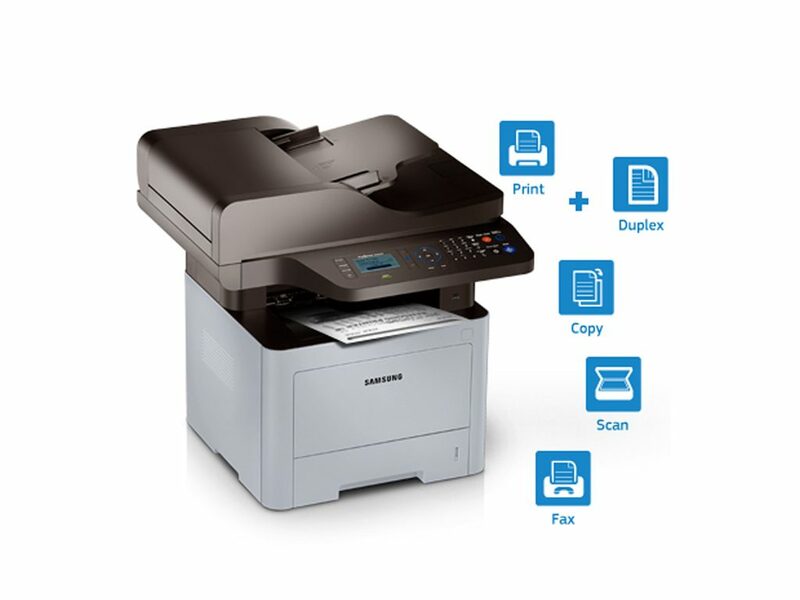 Thus, if you’re trying to assess a mono laser multifunction printer like the Samsung ProXpress M4070FR, you need to keep in mind that its performance cannot be compared to that of colour laser printers. With that little explanation out of the way, let’s dive into this review of the Samsung ProXpress M4070FR mono laser multifunction printer. 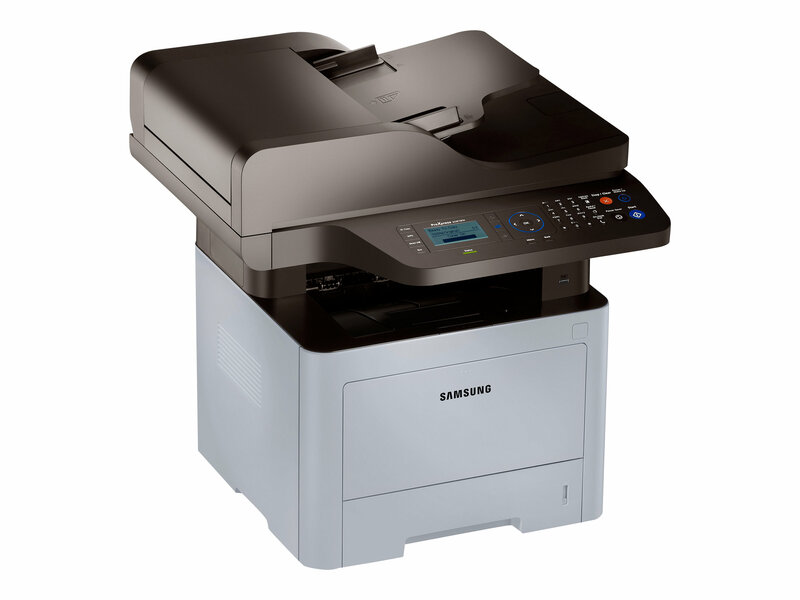 The Samsung ProXpress M4070FR multifunction mono laser printer is a device that is loaded with a slew of features. In fact, the set of features that this device boasts of is its primary strength. First and foremost, the primary capabilities of this device are faxing, scanning, copying, printing, and even emailing. This set of features makes this multifunction mono laser printer ideal for smaller businesses. In fact, this is a device that is categorically designed for small businesses that require heavy duty printing but don’t need premium class when it comes to print quality. Each of these capabilities can be utilised through receiving documents through USB drives, computers, mobile devices, and even emails. Similarly, each of these capabilities can be utilised to push documents as well such as scanning and emailing documents without the pit stop of the computer. 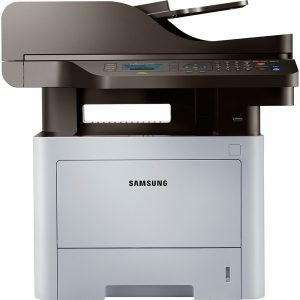 The Samsung ProXpress M4070FR multifunction mono laser printer excels when it comes to connectivity also. The device can be connected to a device and supports Ethernet. However, what will encourage a lot of smaller businesses with serious spatial constraints would be that this device also supports Wi-Fi direct i.e. freedom from network wiring. One feature that many small scale businesses and workgroups often end up doing without owing to their inherent size is the Automatic Document Feeder (ADF) with duplexing capability. The Samsung ProXpress M4070FR mono laser multifunction printer’s standard configuration, however, includes an ADF with automatic duplexing. The ADF (at the top) is provided separate from a multipurpose tray at the front of the printer. What this does is makes it possible for the user to use two different paper types at the same time. The biggest flaw of the Samsung ProXpress M4070FR mono multifunction laser printer is its output quality. The output quality of laser printers is generally below that of inkjet printers. Effectively, most laser printer owners expect less from their devices when it comes to output quality. However, even within that spectrum of expectations, there are upper and lower bands. Unfortunately, the output quality of the Samsung ProXpress M4070FR falls in the lowest band of that whole spectrum. Even so, you need to keep in mind that we’re qualifying the overall output quality of this device. This means that we’re taking into account the output quality of text as well as graphics and images. Very few businesses are ever going to buy the Samsung ProXpress M4070FR mono multifunction laser printer to print graphics and images. If you only print text with this machine, then you’ll find the output quality in the middle of the overall spectrum. On the other hand, if you print images and graphics with this device, then you better be prepared for a cheap newspaper type of print. Remember, this is not only a laser printer but it is also a monochrome printer. By now, you must’ve realised that you should consider the Samsung ProXpress M4070FR mono laser multifunction printer if your business only needs is high speed and high volume black and white printing with tons of features. So, what are these features? Let’s start with speed. The Samsung ProXpress M4070FR is officially rated at 42 pages per minute which is more than most other machines falling in the same segment. Even the effective speed of printing (this tends to be different from the rated speed) of this machine is better than most of its competitors. So, if speed is a criterion for you, then we recommend this machine to you. Paper handling of this device is also impressive. We’ve already spoken about the auto duplexing ADF and the multipurpose tray. This ADF and the multipurpose tray each can hold up to 50 sheets of paper. The standard paper tray at the bottom of the machine is capable of handling up to 250 sheets of paper. However, you will have the choice to have the optional 520 sheet paper tray installed at the time of purchase. 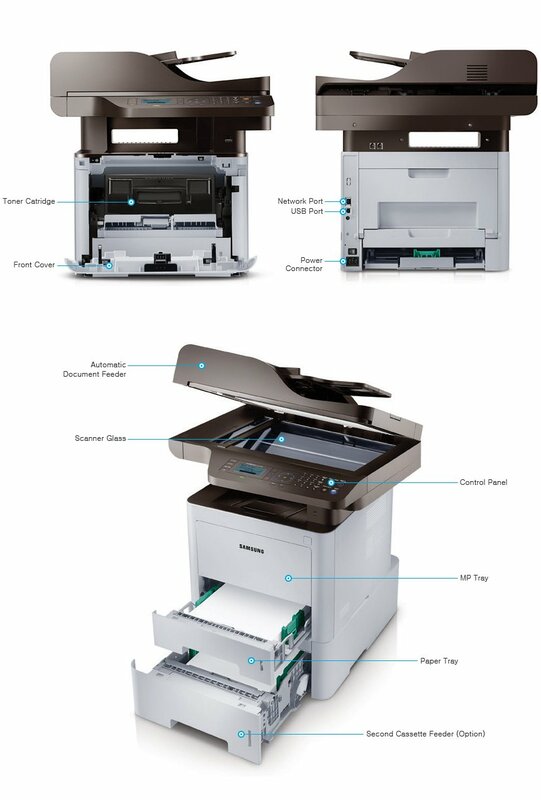 While it’s not mentioned anywhere officially, you may be pleased to know that this device can handle thick paper also but the limit to that thickness is 105 gsm, if you want to do automatic duplex printing. The ADF does automating duplexing by turning the paper over as opposed to scanning on both sides. This is something that you may want to keep in mind if speed is critical to you. The same upgrade option exists with the memory of this printer. The existing memory space will be 256 MB but you’ll have to option to upgrade it to 512 MB. With respect to the quality of black and white print, this machine will deliver 1200 x 1200 dots per inch (resolution). The monthly duty cycle of the Samsung ProXpress M4070FR mono laser multifunction printer stands at 100,000 pages which is more than enough for most offices. Finally, we come to the running cost of this device. As per estimates, the running cost of this device comes out to about 2.4 cents per sheet at the usual rates. However, this amount drops down considerably with our discounted Samsung ProXpress M4070FR cartridges. The running cost of this device is at par with most other devices in the same segment so it shouldn’t be something that you should be worried about.